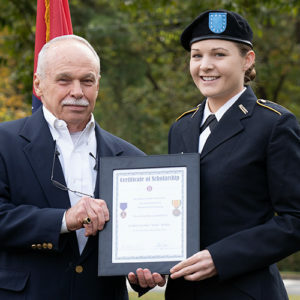 Henderson State University ROTC cadet Carolyn “Josie” Kelley was awarded the Vietnam Veteran’s Memorial Scholarship at a ceremony Nov. 3. Kelley is a senior from Monticello who is pursuing a Bachelor of Science degree in mathematics. She will commission in May 2019 as an Army National Guard officer. The scholarship was established in memory of nine Henderson State ROTC graduates who were killed in action in Vietnam. The presentation was one of several events held during Henderson’s Military Appreciation Day. 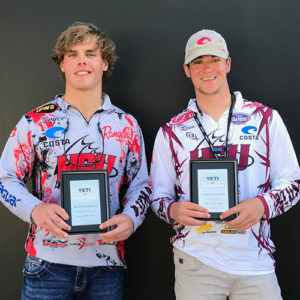 Henderson State fishing team members Bryce Boatright, left, and Fletcher Nutt earned third place at a fishing tournament Nov. 3 at Toledo Bend Lake in Louisiana. They received a plaque and qualified for the Yeti College Fishing National Championship next June on the Potamac River in Maryland. Henderson students Reid Hellums and Dustin Forsythe also partipated in the tournament. A group of Henderson State University students from the Communications and Theatre Arts department brought home awards from the National college Media Convention in Louisville, Kentucky, last month. The convention was sponsored by the Associated Collegiate Press and College Media Advisers. Students representing the Oracle newspaper, Star yearbook, KSWH radio, Henderson Television, and Innovative Media participated in workshops led by professional journalists. 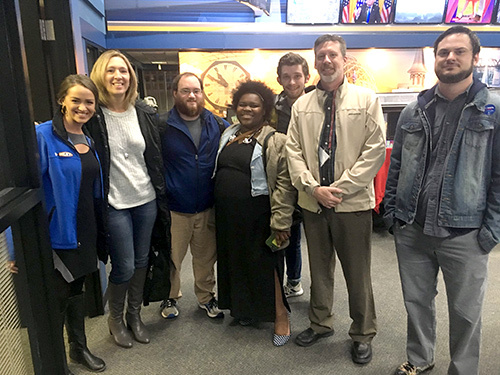 They also toured various media outlets, including WLKY, a CBS affiliate where the tour was led by station reporter and recent Henderson graduate Alex Durham. Henderson faculty members Paul Glover and Michael Taylor received Distinguished Adviser Awards for their work advising student media in broadcast and in print. 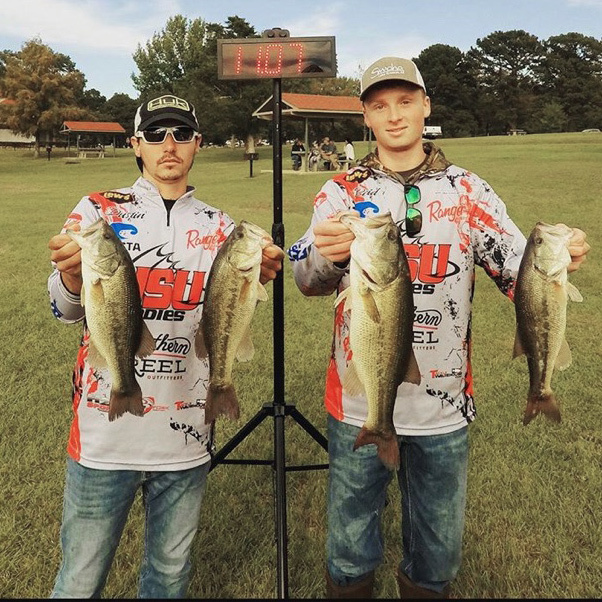 The team of Henderson State students Dustin Foresythe and Reid Hellums placed fourth recently in a fishing tournament on Lake Dardanelle. The Henderson fishing team of Bryce Boatright and Fletcher Nutt placed 10th. Both teams qualified for the championship tournament in December on Millwood Lake. Henderson’s fishing team competes in the Arkansas Collegiate Series and the FLW YETI Collegiate series. Members must attend meetings if their schedules permit, and can fish whichever trails they are interested in. The club will host approximately five benefit tournaments. Membership is $30. Call 870-917-9520 or go to www.facebook.com/hsufishingteam/ for more information. 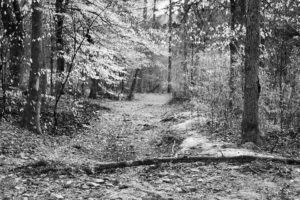 An exhibition featuring the digital photography of Henderson State University senior Katie Nix will be on display Nov. 1-9 in the Huie Library student gallery. Nix has studied under professors David Warren, Katherine Strause, and Margo Duvall. Nix will host a reception in the gallery Nov. 6 from 1-3 p.m.
For more information about library hours, go to http://library.hsu.edu. 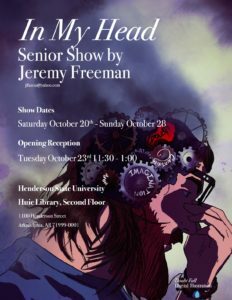 Jeremy Freeman, a senior digital design major at Henderson State University, will present his senior art exhibition Oct. 20-28 in the Huie Library second floor gallery. 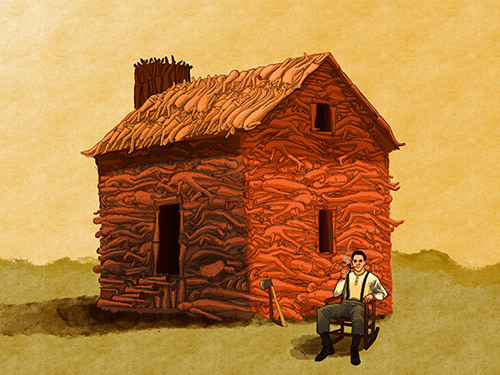 Freeman will host a reception Oct. 23 from 11:30 a.m.-1 p.m. at the gallery. Freeman has studied under the guidance of professors Kasten Searles and David Stoddard. For more information about library hours, go to http://library.hsu.ed. Homecoming activities at Henderson State University begin Oct. 15 when the student body begins voting for Henderson’s 2018 homecoming queen. Twenty-four students are nominated for the homecoming court. The 10 finalists will be announced Oct. 19 during the annual homecoming pep rally and bonfire. The court will be introduced and the queen crowned during football pre-game festivities on Oct. 20 when the Reddies host Southeast Oklahoma University. 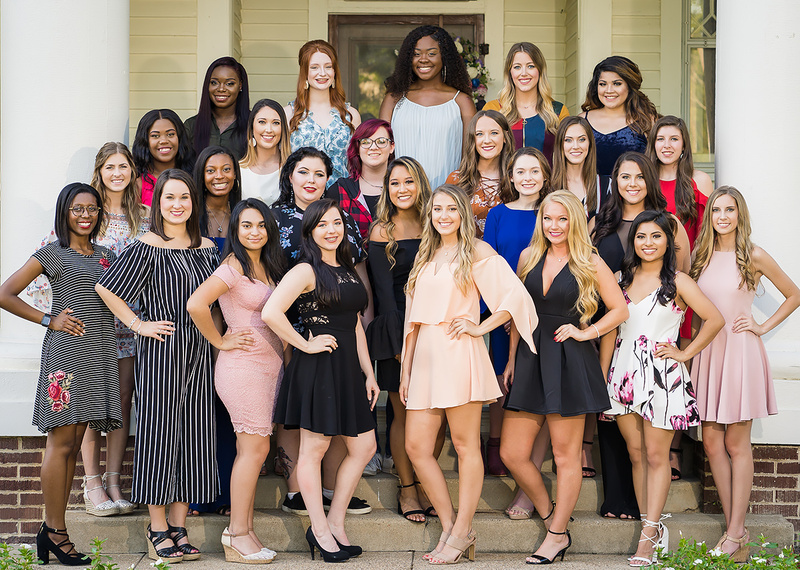 The 2018 homecoming court candidates are: Hope Smith, Nicole Scoggins, Jessica Horn, Keanna Peck, Adrienne Prince, Kally Tran, Dinah Russell, Amy Westbrook, Mirela Tornatore, Suzanne Sorrells, Candy Bruno Estrada, Keira Bates, Madison Newton, Savannah Moore, Peyton Bradshaw, Viola Simmons, Jordan Bridges, Susana Loarca, Ashley Zeiler, Paige Elizabeth Powell, Brooke Roberson, Emily Green, Cynthia Perez, and Chandler Simmons.